LP version. Includes CD; Edition of 999 (numbered). In reggae, all roads lead to the "Riddim Twins", Sly & Robbie. They've been revered as style-defining icons for years, and together and individually have a massive influence on the genre. They are also renowned for their willingness to shatter boundaries and experiment with sounds. Over the past decades, they have never been shy of leaping over into other genres -- for instance, their timeless, super-tight production work for Grace Jones. 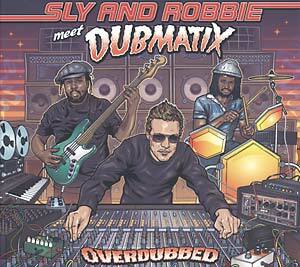 Now, Sly & Robbie meet Dubmatix. The Canadian producer and multi-instrumentalist got his hands on original Sly & Robbie tracks and spent months crafting this new album, Overdubbed. Dubmatix is celebrated for his out-of-the-box thinking and willingness to experiment, and the album shines with fresh ideas. Sly & Robbie's tunes, which are originally without vocals, haven't simply been dubbed; extracting the individual essence of each track, Dubmatix has added a plethora of tweaks, ideas and individuality, making his musical signature clearly audible. On some tracks, he invited vocalists, including Jay Spaker (John Brown's Body), Screechy Dan, and Prince Alla, to contribute their unique style. 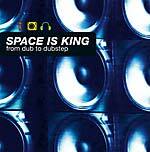 As well as Dubmatix himself, the album features many other musicians. The result is an album that shines with eclectic diversity. From roots-oriented tunes to dubs for the clubs, there's a bit of everything. 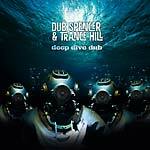 Dubmatix's refreshingly playful, bass-heavy approach creates new highlights while at the same time paying deserved homage to two world-class musicians. Also features Megative and Treson.